You are probably asking yourself why this super euro car with DTM cues is on a primarily JDM car blog. Despite its German birthplace, how it has been modified reflects a very Japanese VIP tradition. 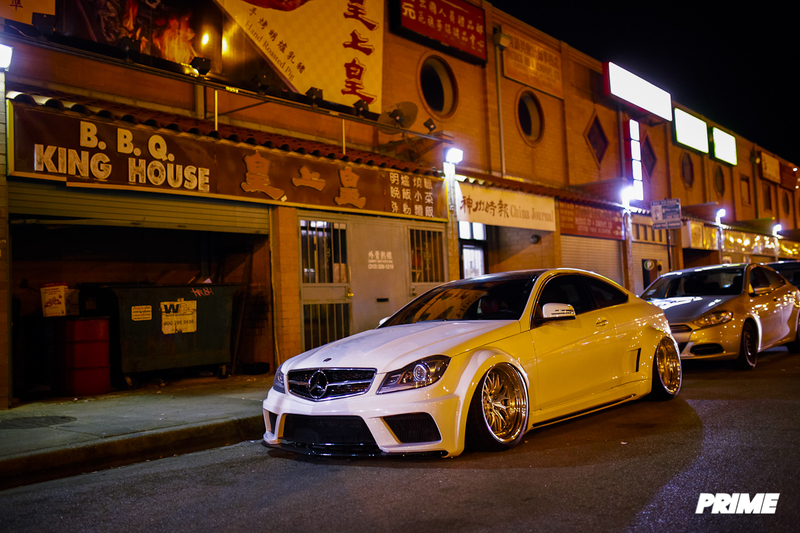 With its custom widebody along with the Prior Design kit, this C63 tells bystanders to keep it moving. 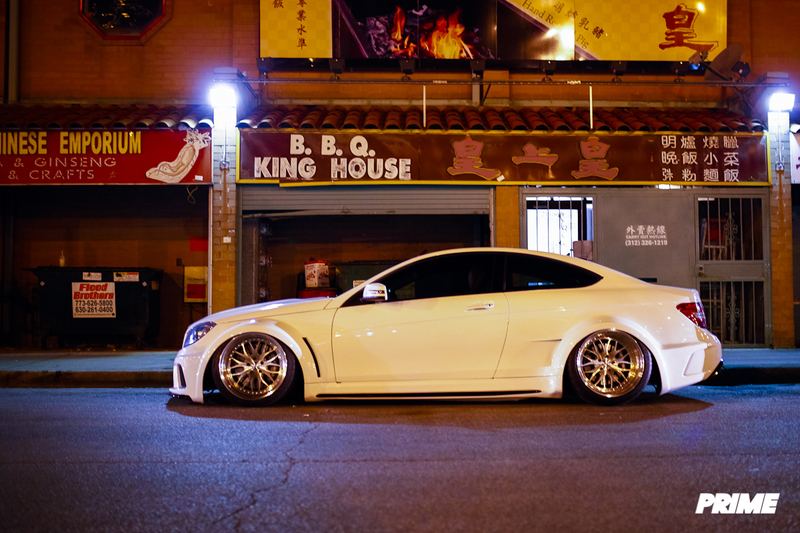 The wheel and suspension choice is non-euro with Cindy going with KBreak Hybreed Cross Nines and Airrex suspension. A Eurocharged tune along with and Agency Power header and exhaust helps it perform and sound as aggressive as it looks. We were on our way for some late-night dim sum at Ming Hin when we saw it laid out on the street and we couldn’t resist taking a few snaps. The molded bumpers takes the cake. Great job Cindy, we love it! Street Scene: Let’s meet at Culvers!